The ID is the student ID number and the initial password is based upon initials and birth date. The format for the password is . 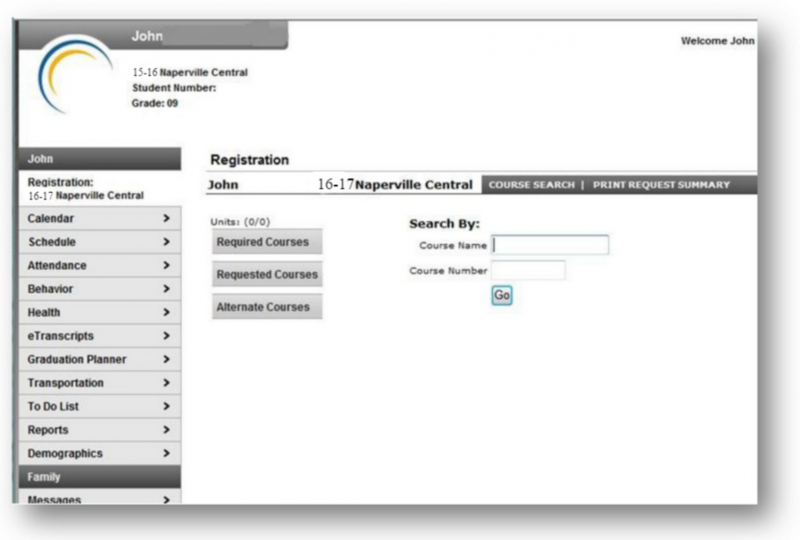 Once the student is logged in, he or she will be taken to the Infinite Campus Home Page. 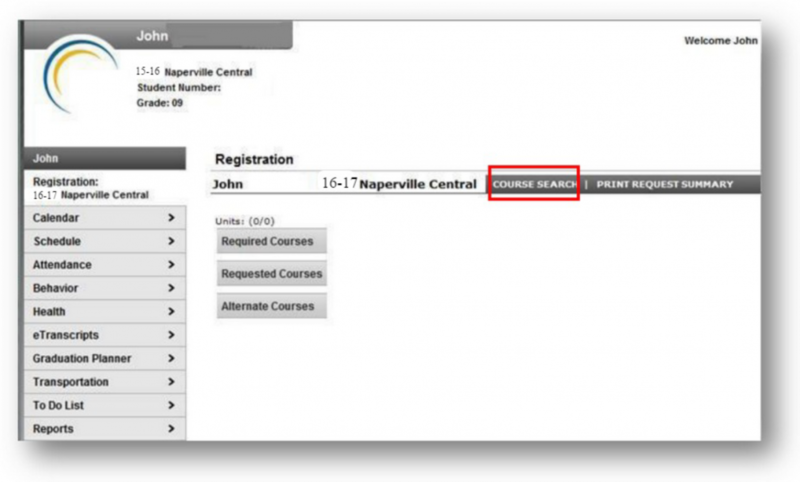 From there, the student can access the course selection screen using “Registration 19-20 Naperville Central” link depending on the school and as shown below. 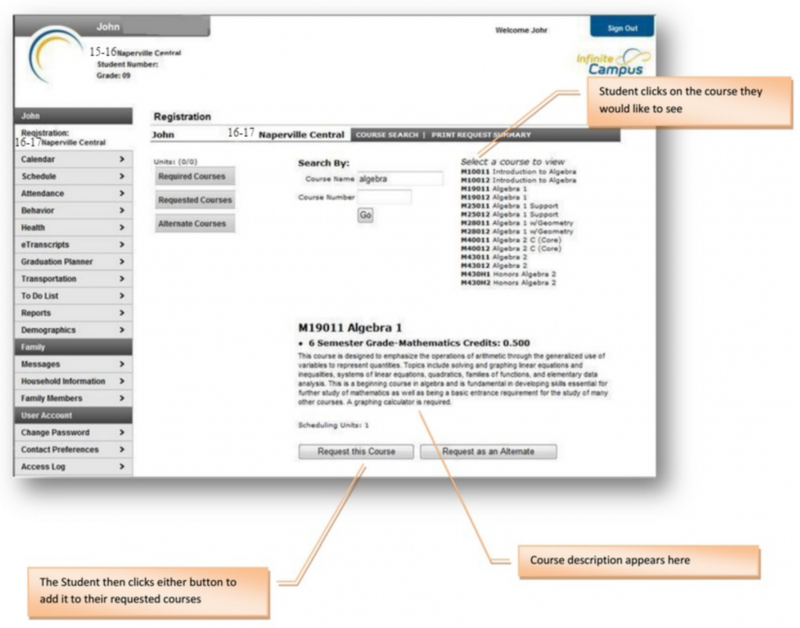 Clicking this link will result in the student being taken to the course selection screen, shown below. Once on the Course Selection page, the student should then click the Course Search link at the top of the page as shown below. Clicking this link will provide the student with two search boxes: one for search by Course Name and one by Course Number as shown below. 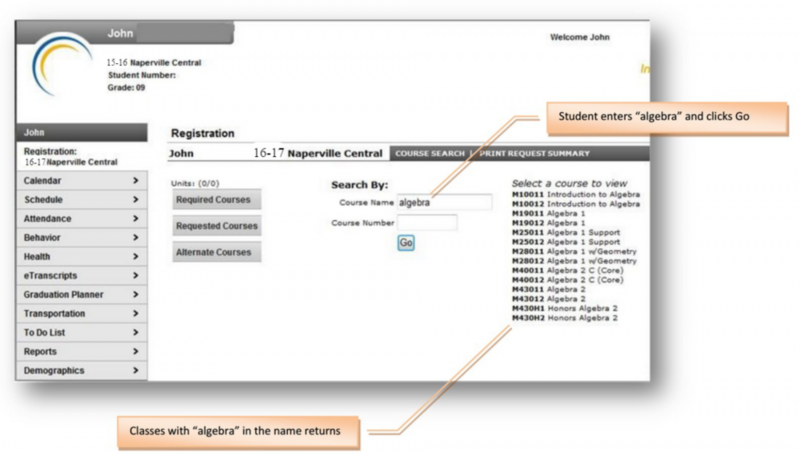 The student can enter any text string within the name of the course and click the Go button. This will return a list of any active courses containing that string. For example, if the student enters “Algebra” in the course name textbox and clicks Go, a list of all classes with the word Algebra in them will return. The student can enter course number and click the Go button. This will return the course with that number. The course number has to be entered exactly to return results. 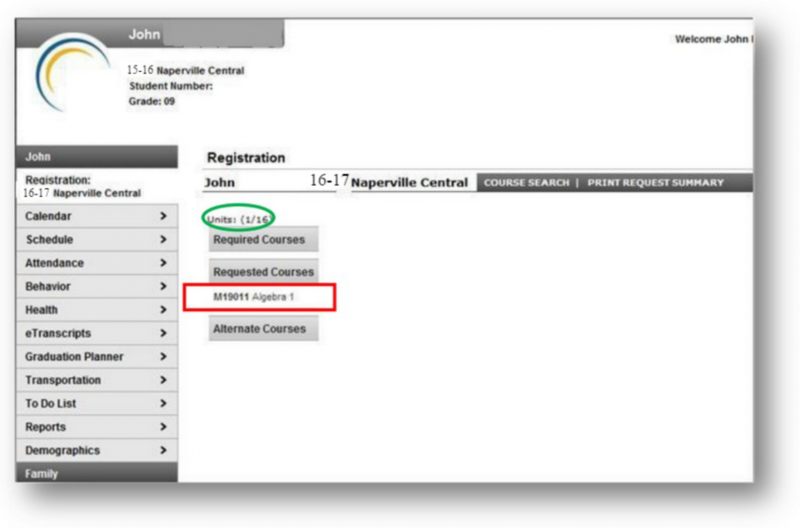 Any partial or incorrect course numbers will not return results. Once a course or list of courses appears on the right, the student can then click on the course that he or she would like to see. 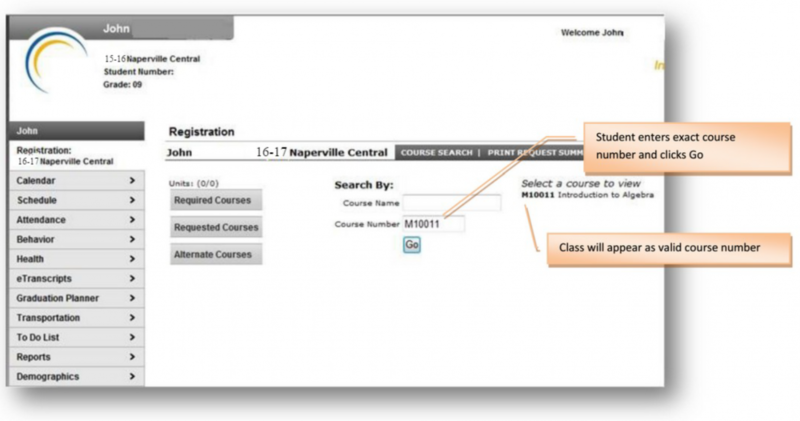 This will display the course description as well as buttons that allow the student to request the course. 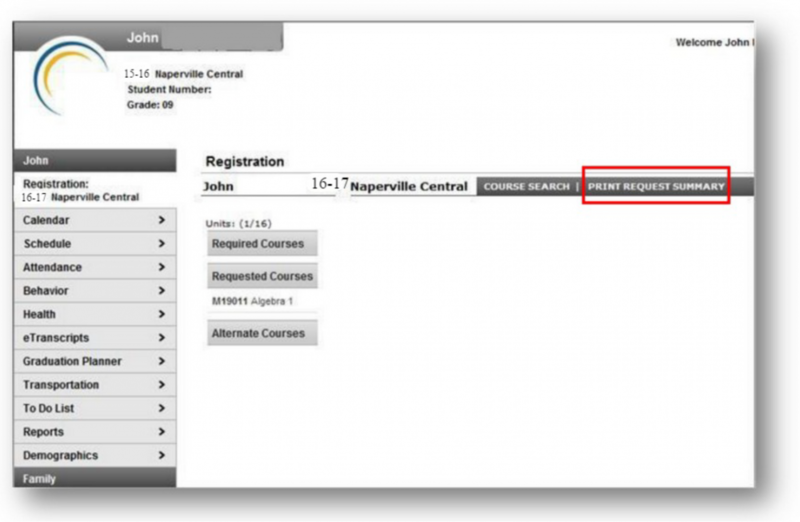 Once the student requests a course, it will appear in the requested courses list. The student then repeats this cycle until the required number of Units (see circled area) is fulfilled. Once this total has been fulfilled, all remaining courses can only be requested as alternate courses. Please make certain that year-long classes (semesters 1 and 2) are entered as such! This is very important. Once the student has completed the request process, he or she may then optionally print the selections by clicking the “Print Request Summary” link at the top of the page. 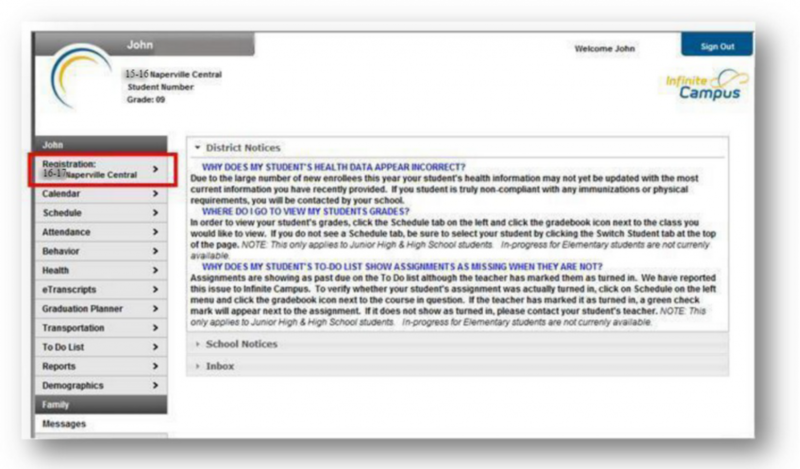 Once the student has completed the request process and has printed his/her summary, the student may then log out of the system. 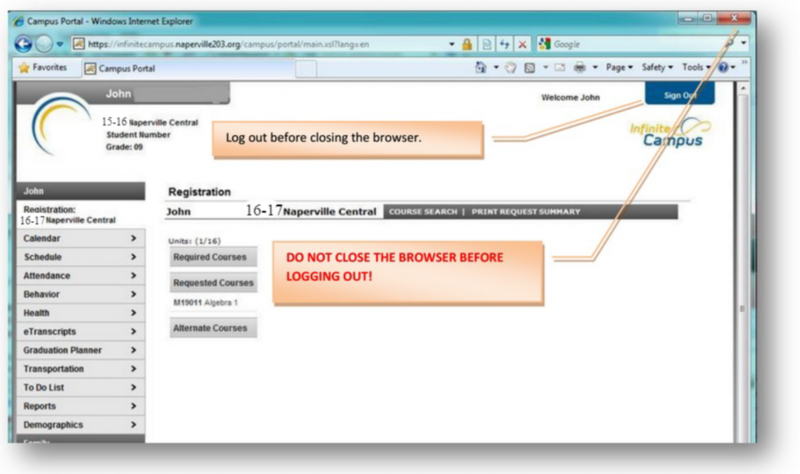 Students should take care to click the log out button on the menu on the left side of the screen. DO NOT CLOSE THE BROWSER WITHOUT LOGGING OUT. YOUR SESSION WILL REMAIN ACTIVE IF YOU DO NOT LOG OUT PROPERLY.